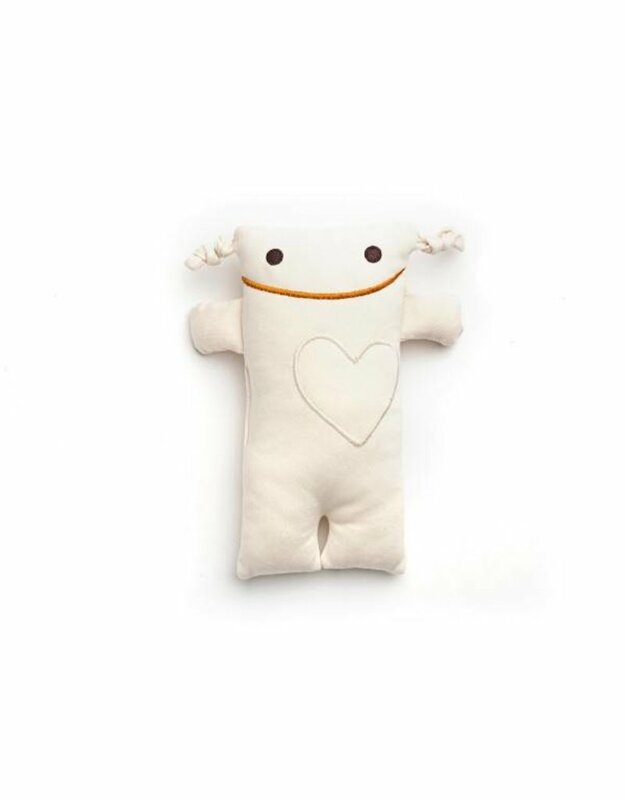 Made from organic cotton with a heart as big as a house, he's the most loved roll of babies, and they're sur to love him at first sight! Side effects include crazy bouts of love accompanied by drooling, and the end of the world if ever lost. - Babies love him. They love to fall asleep with him. We don’t know why, but we’re happy they do. 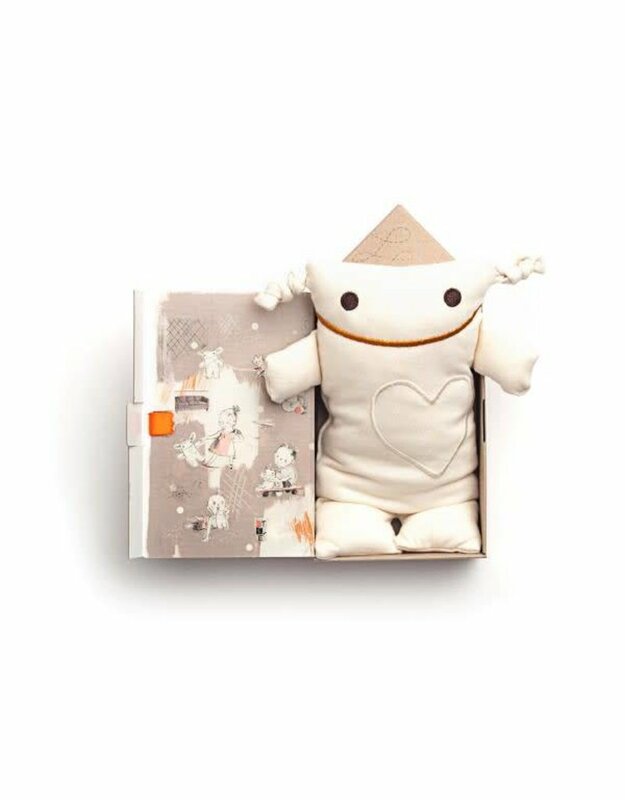 - Monsieur Tsé-Tsé’s pattern is designed so that each piece of fabric fits perfectly into one another, so no fabric is wasted when making this doll. 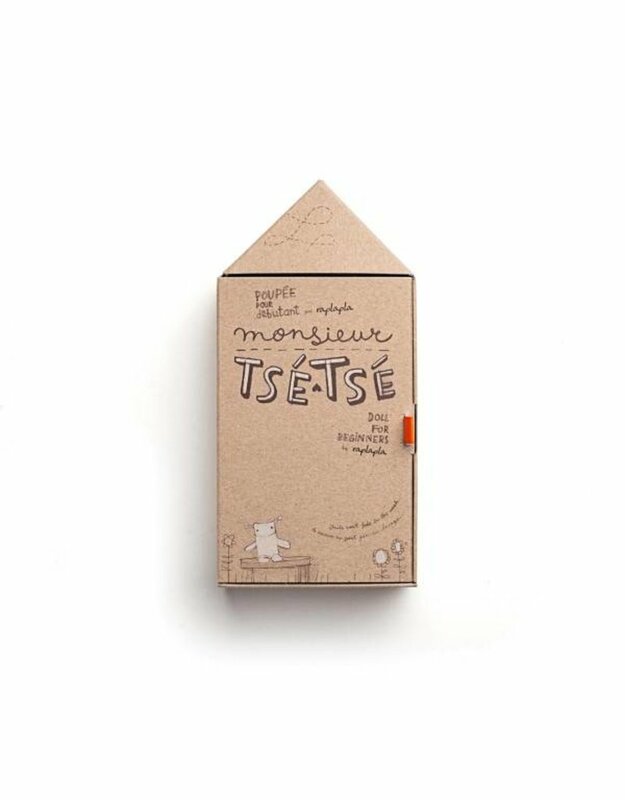 - Monsieur Tsé-Tsé’s fabric is locally sewn by Delyla using organic cotton thread from India. - 10% of profits are donated to UNICEF by raplapla. 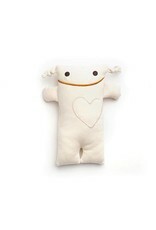 - Monsieur Tsé-Tsé has been tested more than any other of our dolls, to ensure he is safe for babies! 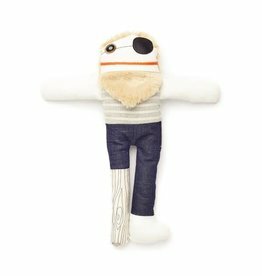 He meets the safety requirements of Canada, the U.S. and Europe. 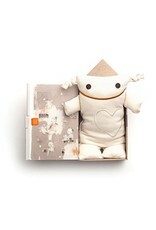 - His package, designed by Atelier Chinotto and illustrated by Isabelle Arsenault, won the Grand Prix Grafika in 2009. 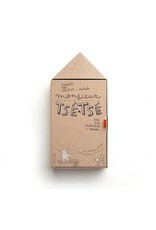 - Monsieur Tsé-Tsé was also honoured by the Bureau du design de la Ville de Montréal. 25 cm. 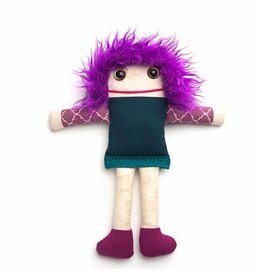 100% certified organic fair trade cotton (knitted in Canada), stuffed with polyester fibre. 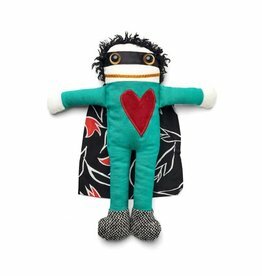 Embroidered eyes, mouth and heart. 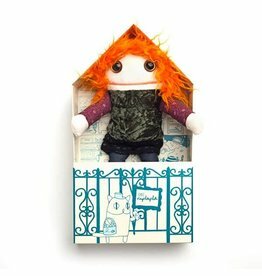 Monsieur Tsé-Tsé lives in an adorable cardboard house decorated by Isabelle Arsenault (printed in Quebec) and he comes with a personal health record. Last picture : Zachary, 5 days. Photo by Noémie Jaunin.